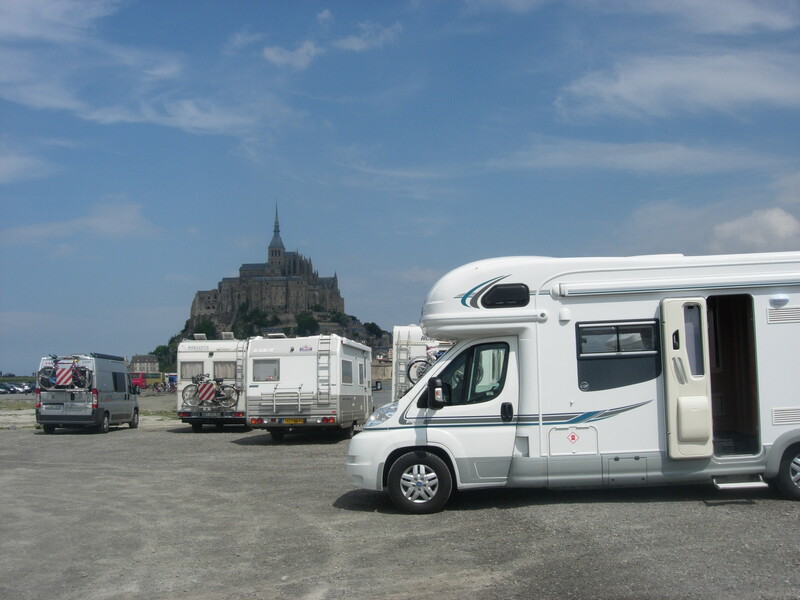 Hire a luxury 4 berth or 6 berth motorhome for the Tour de France Motorhome Hire 2016! Our team will book your Eurotunnel or ferry crossings, plan your route, book campsites near the race route and we’ll even organise your parking! By hiring a fully equipped motorhome, you therefore, don’t need to worry about finding and booking accommodation near the race route. We are already taking bookings so call us today on 0117 9372644. The Tour de France 2016 will start on Saturday 2nd July from beautiful Mont-Saint-Michel. The Tour de France is an annual bicycle race currently run by the Amaury Sport Organisation. For more information visit their website http://www.aso.fr/fr/homepage.html. Due to the Tour becoming more popular the race was lengthened and it therefore began to extend around the world. In addition the number of teams usually varies between 20 and 22, with nine riders in each. All of the stages are timed to the finish; after finishing the riders’ times are compounded with their previous stage times. Finally the rider with the lowest aggregate time is the leader of the race and therefore wins the yellow jersey.